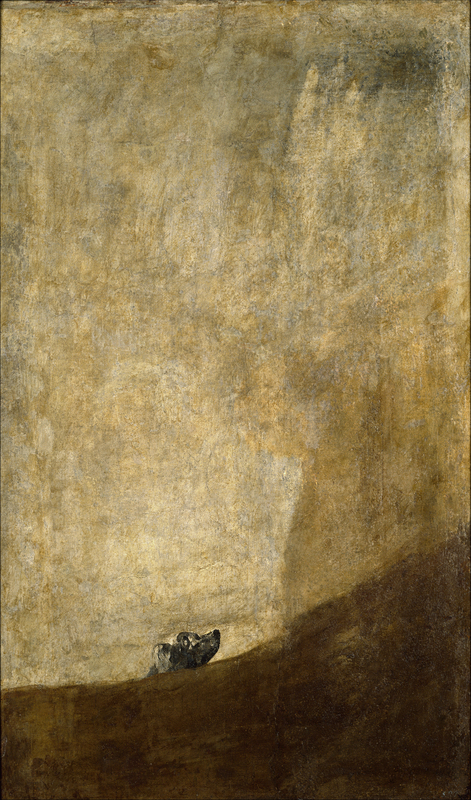 I have just watched and been thrilled by the late Robert Hughes affectionate and compelling programme on Goya: Crazy Like A Genius. 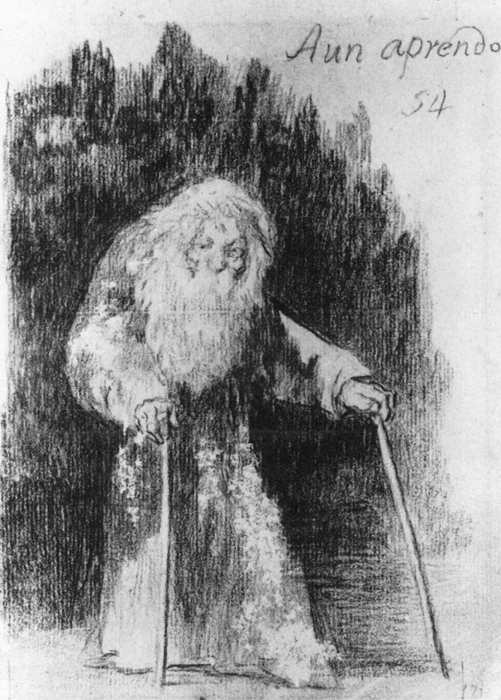 An intense and dynamic presence comes out from all of Goya’s paintings and etchings – in every face there is such a sense of the moment before and the imminent moment about to come next. Two works in particular caught my breath: Aun Aprendo / I Am Still Learning (above) – which he made during his last years in exile in France when he was in his 80’s; and The Dog, (below) one of the Black Paintings he made in the farmhouse he bought to live in, also towards the end of his life. Both of these transmit a fierce determination to stay alive, moving forward, staying hopeful, looking forward, that rather belies this artist’s more usual reputation for nightmare images of death, evil and horror. This entry was posted in audience experience, Exceptional Experience ***** and tagged art, happiness, optimism, resilience, television. Bookmark the permalink.